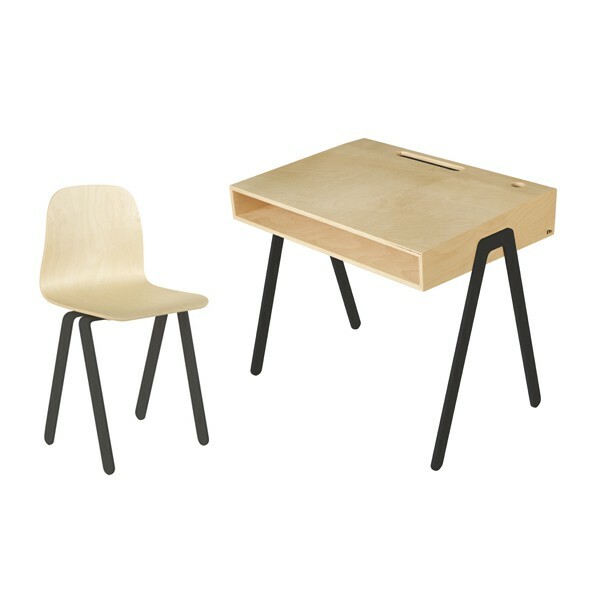 Redesigned, with sense for nostalgia, In2wood choose to refresh elementary "old school" furniture. 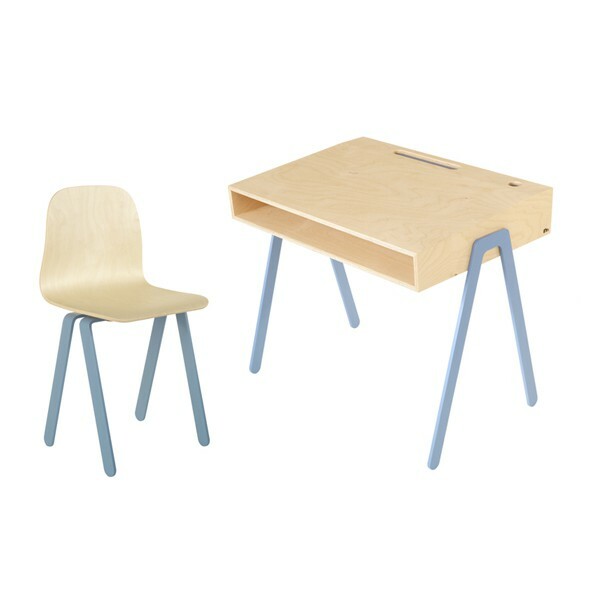 A desk and chair for the bigger ones at the age of 6-10 years old. 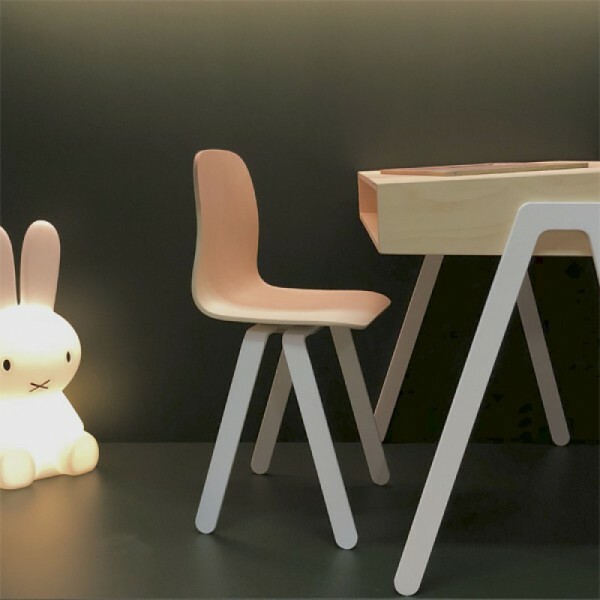 The designer left out the typical table legs and added an aluminum base. These fine legs - in mint, white, blue, pink, yellow, green, rotorange or black - are light and easy to move. 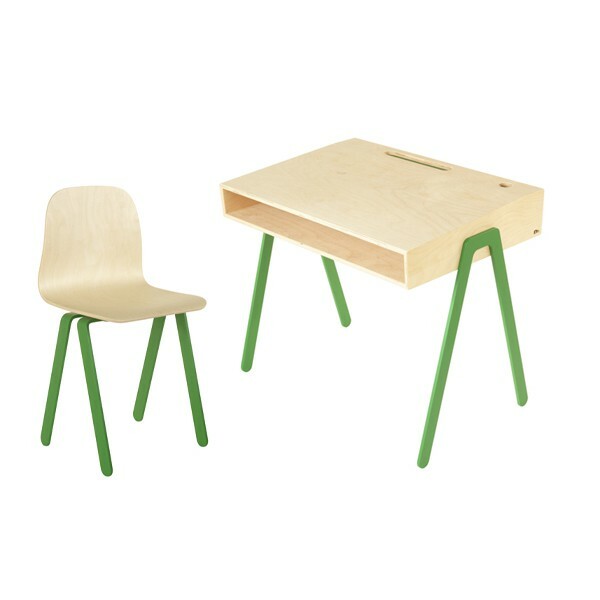 Ideal for regular changing settings in your living or kidsroom. 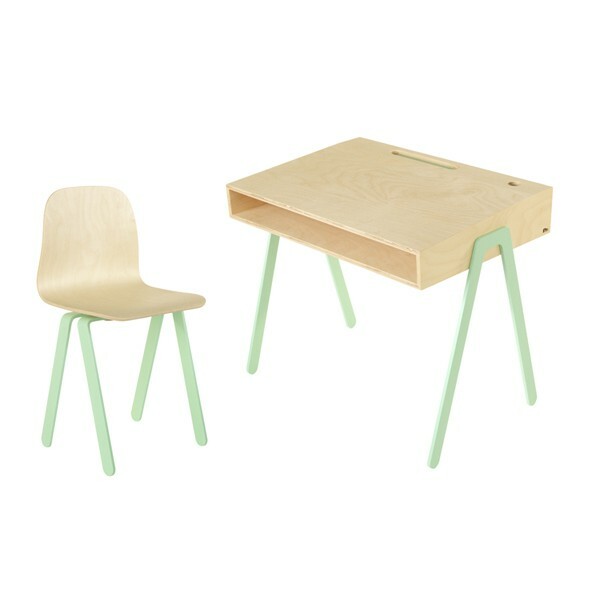 There is attention for every detail, the notch and pencilholder in the tabletop have the same colors as the base. There is storage space underneath the table top. 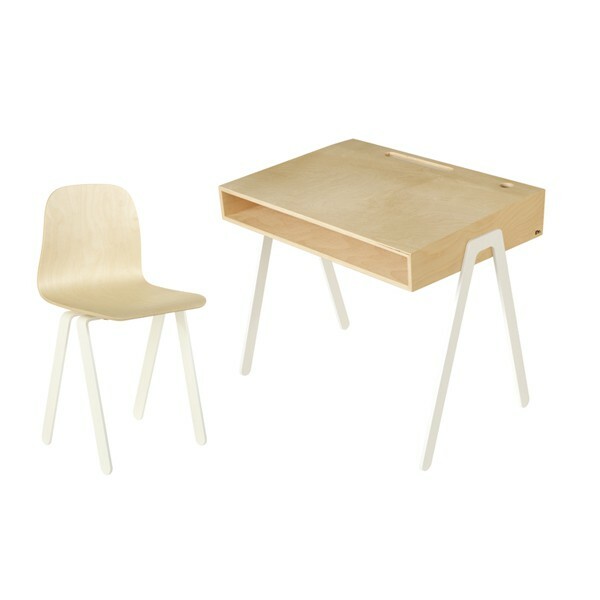 The tabletop and seat are made out of birch plywood.